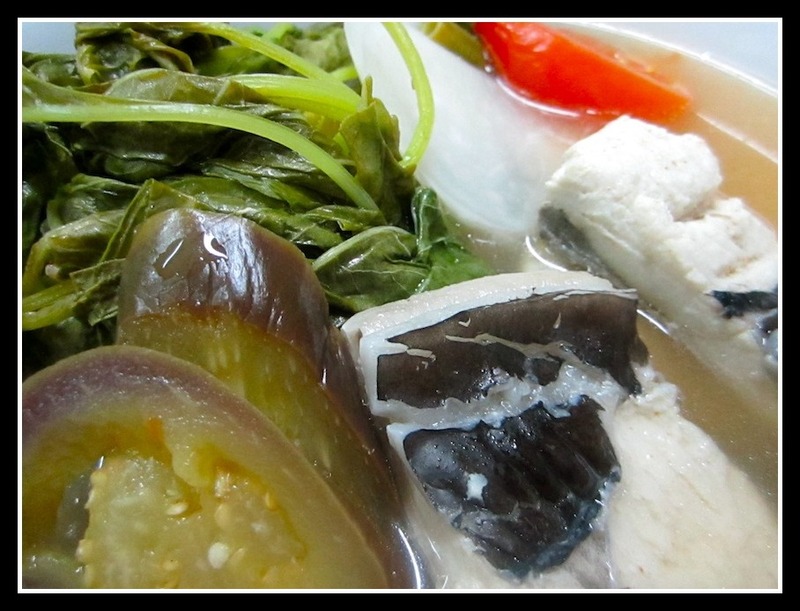 First off, my protein of choice for sinigang is bangus. I love bangus. You can use pork ribs (make sure to soften meat before adding the rest of the ingredients), prawns, lapu-lapu, chicken and even beef ribs. Our dear family friends even use tinapang banugs! Yes! the ones you find in the frozen section of your grocery. 😛 At first I thought it would be weird, but as I continued to eat it, it tasted better after every bite! 😀 Try it out. It’s deeeelish! 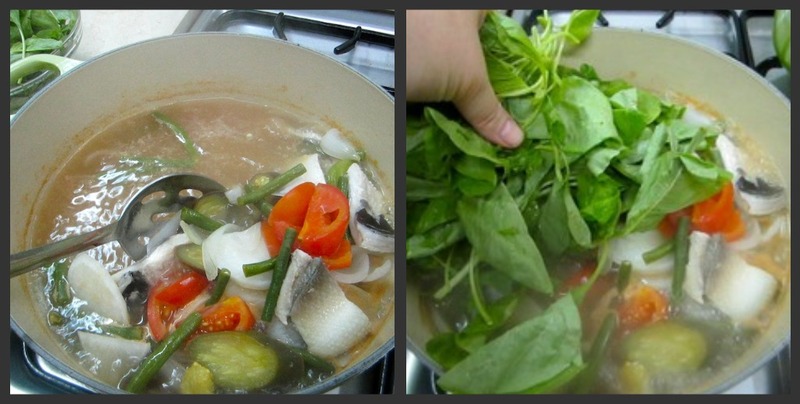 Simple and easy Bangus Sinigang at home. Add long beans andGreen chili, and boil for about 2 minutes. 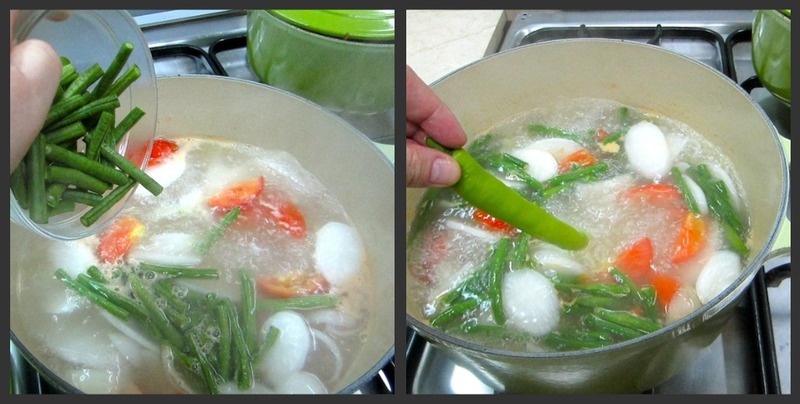 In a stockpot, add hugas bigas (or water), tomatoes, and onions and bring to a boil. Boil for about 5 minutes. Add radish and cook for 5 minutes. Add long beans and cook for another 2 minutes. Add green chilies. Add bangus and cook until they are cooked through. 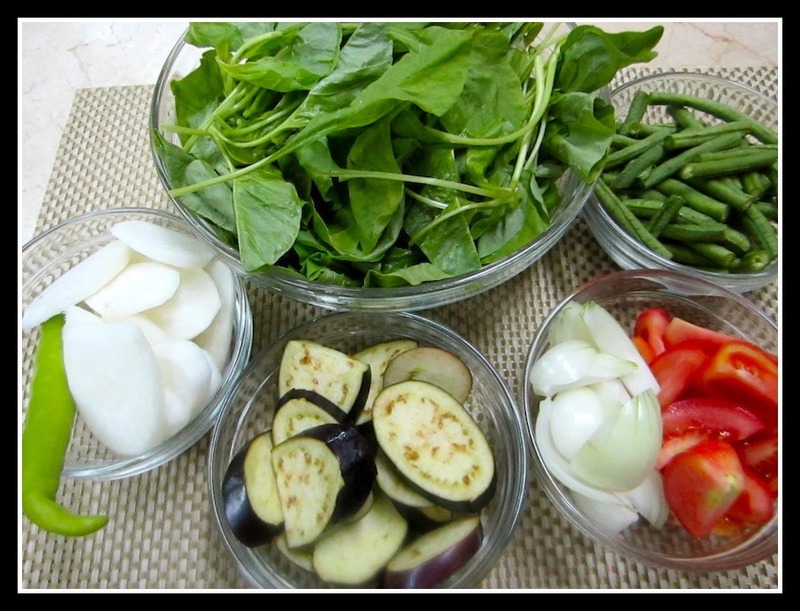 Add sinigang mix, fish sauce and kangkong. Serve with rice. You may substitute pork ribs, fish and chicken for this dish. 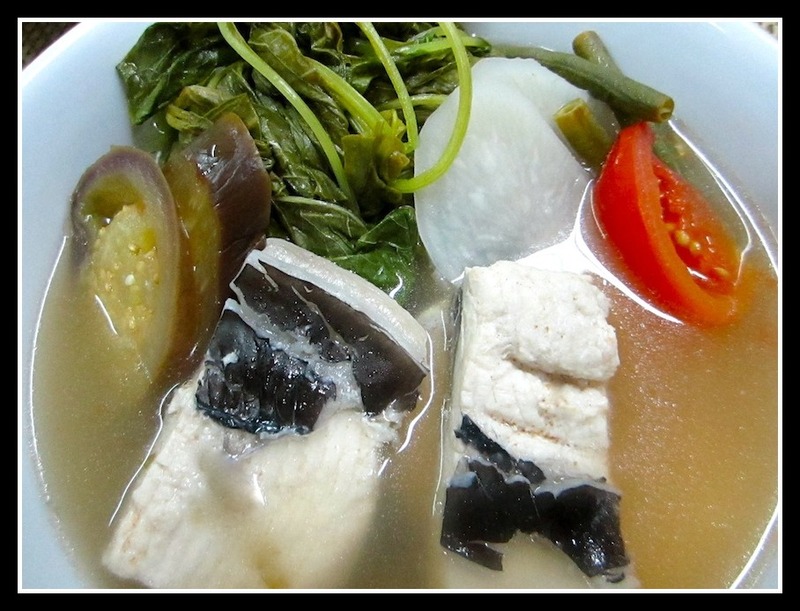 Pring, You can also rinse the bangus in ginger juice (juice from squeezed grated ginger) to remove the fish smell.